Rubies are Corundum mineral based gemstones that are red colored and the most valuable of corundrums. 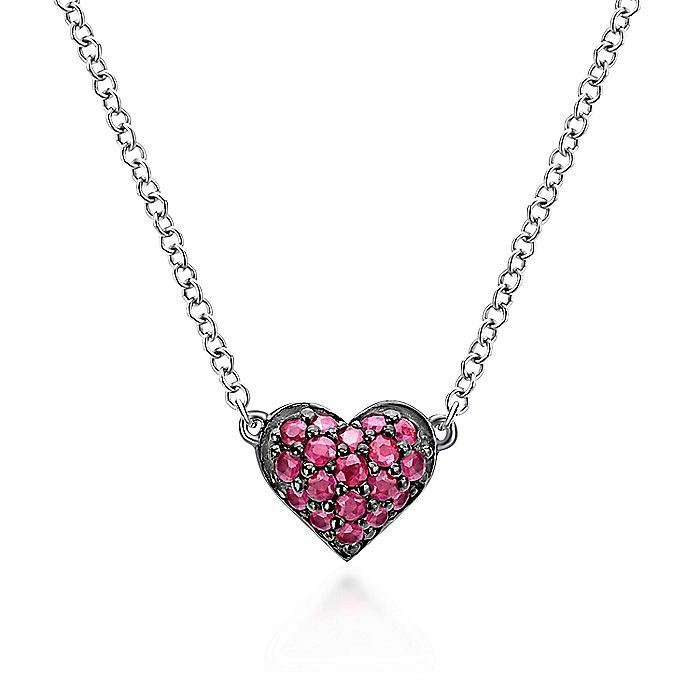 Chromium is the element that gives Rubies their red color. 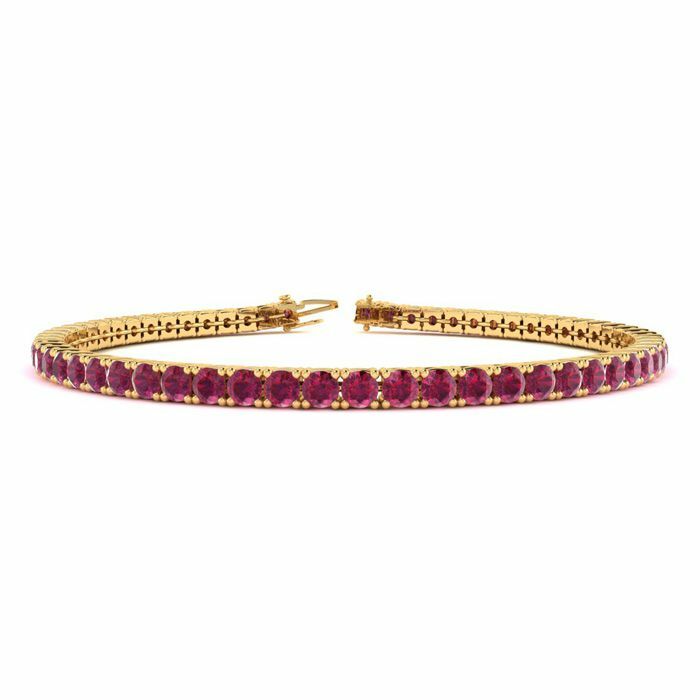 This classic gemstone bracelet features shimmering ruby gemstones. The 6 inch bracelet contains 58 gemstones at 4.64 carats. The 6.5 inch bracelet contains 60 gemstones at 4.80 carats. The 7 inch bracelet contains 65 gemstones at 5.20 carats. The 7.5 inch bracelet contains 70 gemstones at 5.60 carats. The 8 inch bracelet contains 74 gemstones at 5.92 carats. The 8.5 inch bracelet contains 79 gemstones at 6.32 carats. The 9 inch bracelet contains 84 gemstones at 6.72 carats. This bracelet is approximately 2.5mm wide and is crafted in 14 karat yellow gold. This bracelet has a secure, box with tongue and safety clasp.